The 23-story building totals 287,520 square feet and is located in the heart of Louisville’s CBD. The property features a 476-space parking garage, a recently renovated lobby and a location near the city’s top entertainment venues, restaurants, hotels and retail options. 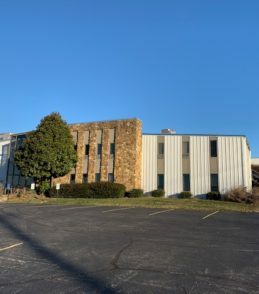 Jeff Dreher, SIOR and Rick Ashton, CCIM of Commercial Kentucky have represented the building in all leasing transactions at LG&E since 2006. Commercial Kentucky, Inc. is an alliance member of Cushman and Wakefield, the world’s largest privately-held commercial real estate services firm. Commercial Kentucky offers its clients market research expertise, appraisal services, in addition to office, industrial, retail and investment real estate brokerage services. As a member of the Cushman & Wakefield Alliance, Commercial Kentucky, Inc. provides their clients with the outstanding quality service they have grown to expect on a local, national and international level through 15,000 professionals in over 253 offices throughout the world.